A delicious mixture, chocolate and genuine Queensland style Rum. Often enjoyed after dinner, or even added to coffee. Try this Chocolate Rum Premix over ice with a drop of fresh cream. 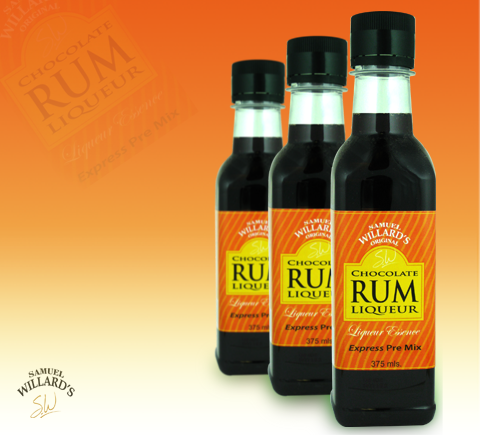 Samuel Willard’s Chocolate Rum Liqueur premixed base essence produces 1125mL of spirit from each 375ml bottle.